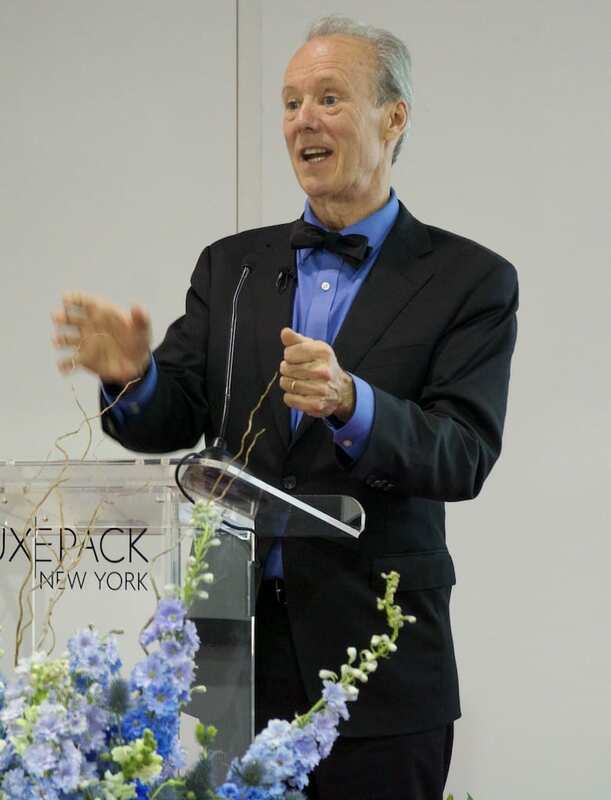 William McDonough was the guest of honor at this year’s LUXE PACK NEW YORK. The May 13 show, held at Pier 92 in New York City, marked the 13th edition of the creative design packaging trade show. With more than 3600 visitors, the trade show featured over 220 exhibitors from suppliers within the cosmetics, fragrance, fine foods and wine & spirits industries. McDonough’s insightful presentation drew a standing room only crowd, Packaging Europe reported. In his presentation, McDonough discussed the importance of fusing sustainability and luxury product design. Out of the submissions from each exhibitor, LUXE PACK selects the best eco-design product or initiative. The award recognizes the exhibitors design approach and how it is integrated into the production process. For the first time ever, LUXE PACK opened the voting process to the public. McDonough was among the panel of industry leaders who awarded the LUXE PACK in green award. LUXE PACK NEW YORK 2015 produced record-breaking attendance, a 9% increase from 2014. The seminars and conferences also broke an attendance record, with over 800 attendees.